Who needs school when you have access to so many courses from right there on your couch? Okay, so school is needed, but why should kids get all the fun? 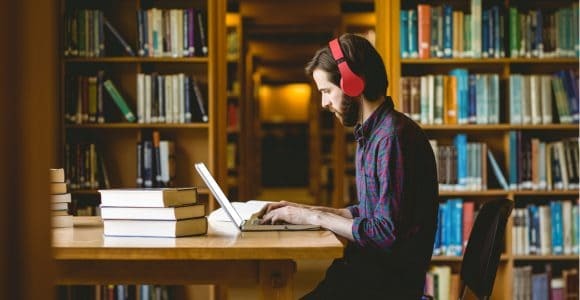 With ever-mounting loans and having to fight to get into your chosen college, e-learning sites are basically a Godsend right now. As well as being able to learn anything from moral ethics to how to play the trumpet, there’s literally something for everyone. AND you won’t have to choose between your favorite subjects – learn them all right inside Shift! 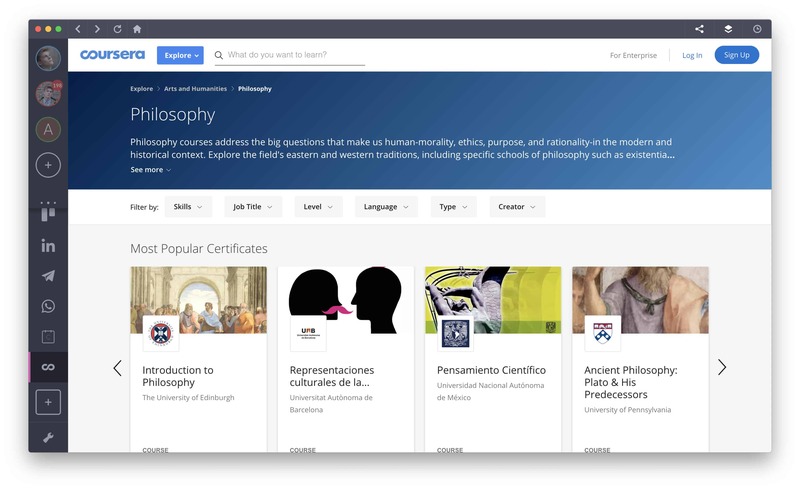 With thousands of courses from the world’s top universities, Coursera is one of the coolest e-learning platforms ever. 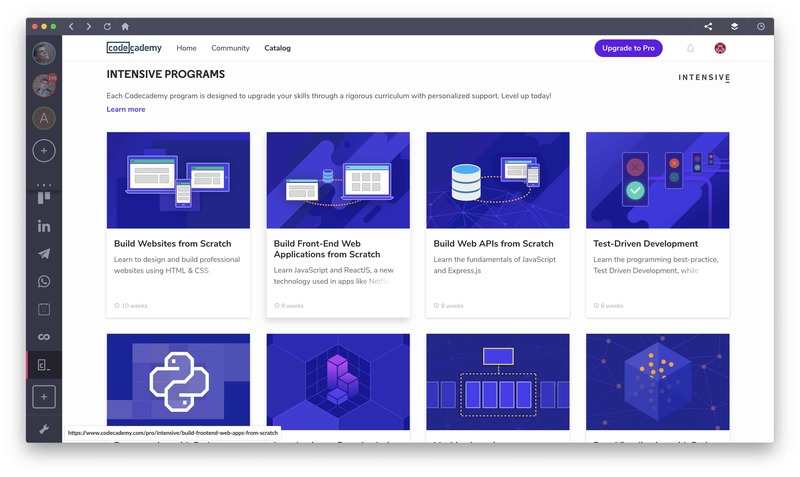 Kids these days learn to code in school, but you can from home – for free! 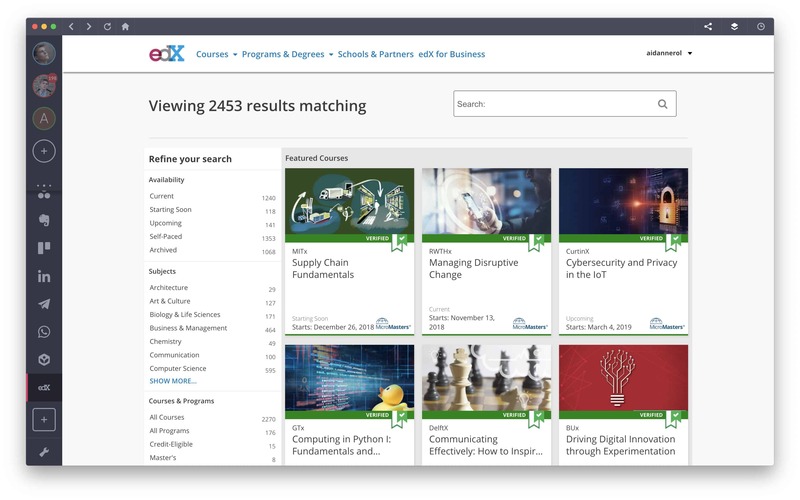 More than 40,000 courses brought to you by experts from all over the world. 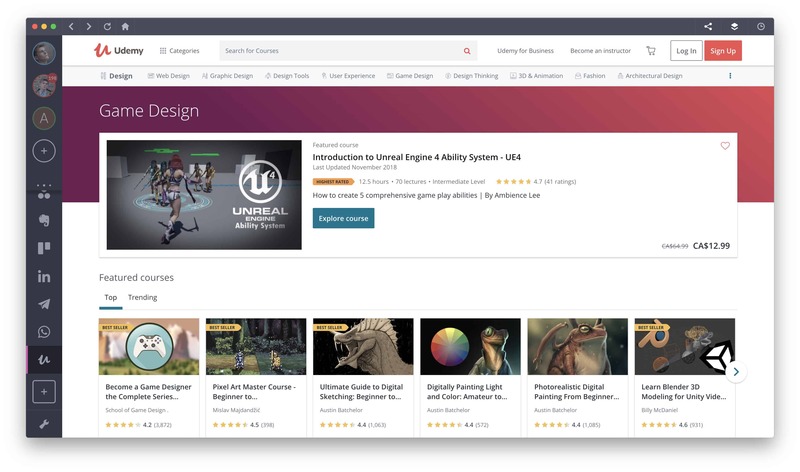 As soon as you buy a course, it’s yours forever. Providing free, world-class education for absolutely anyone? Forever? Sign me up. Flexible learning on your schedule, with university-level courses across tons of disciplines. The best part of all of this is you can access them directly from Shift! 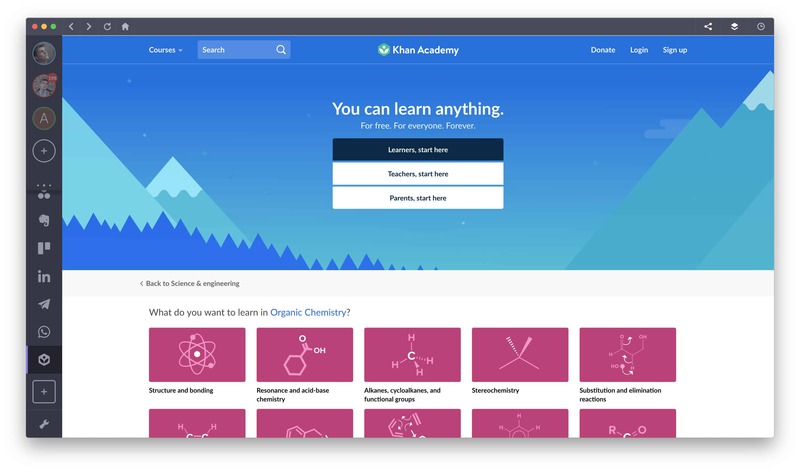 Also, we are expanding the list of online learning apps with every release, so make sure to check out our list for the latest additions!